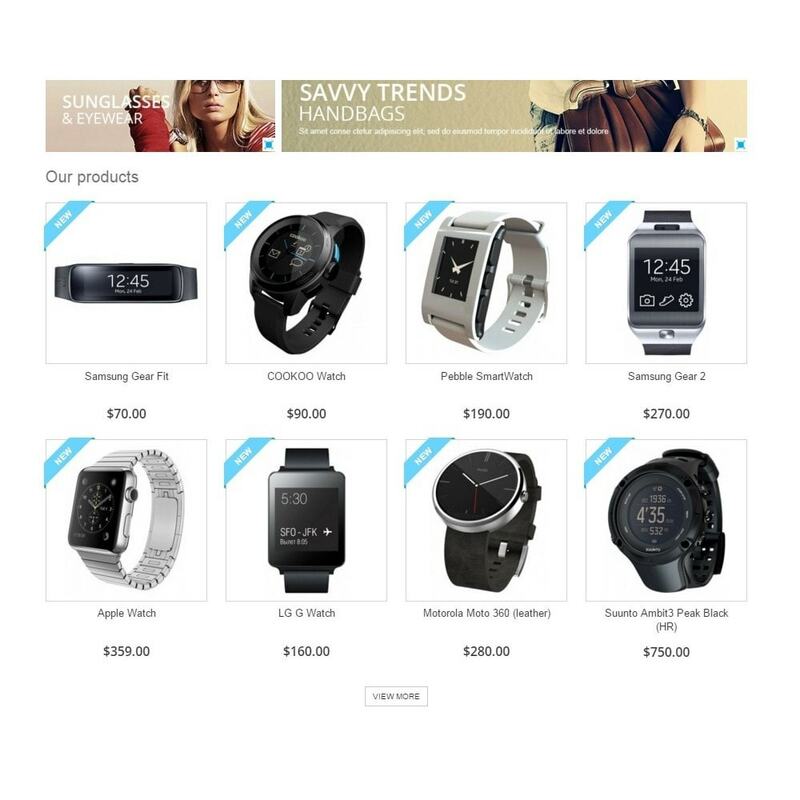 Using this module you can display all of your products on main page in just a few clicks. 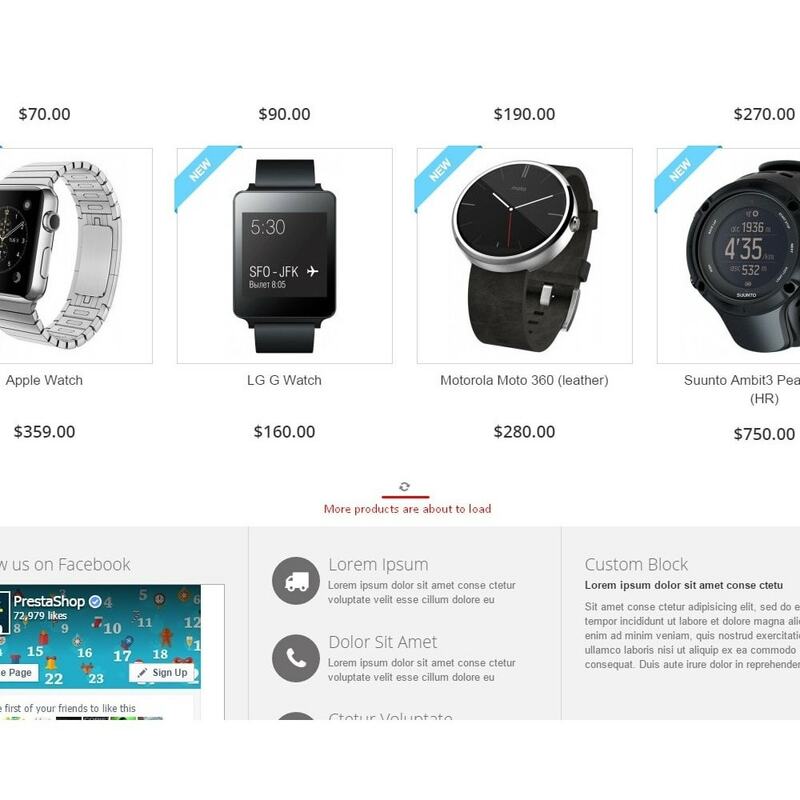 Product listing seamlessly integrates with your theme, inheriting all styles and layout. You can define the number of products, that should be displayed initially. Additional products can be loaded on page scroll, or on button click. 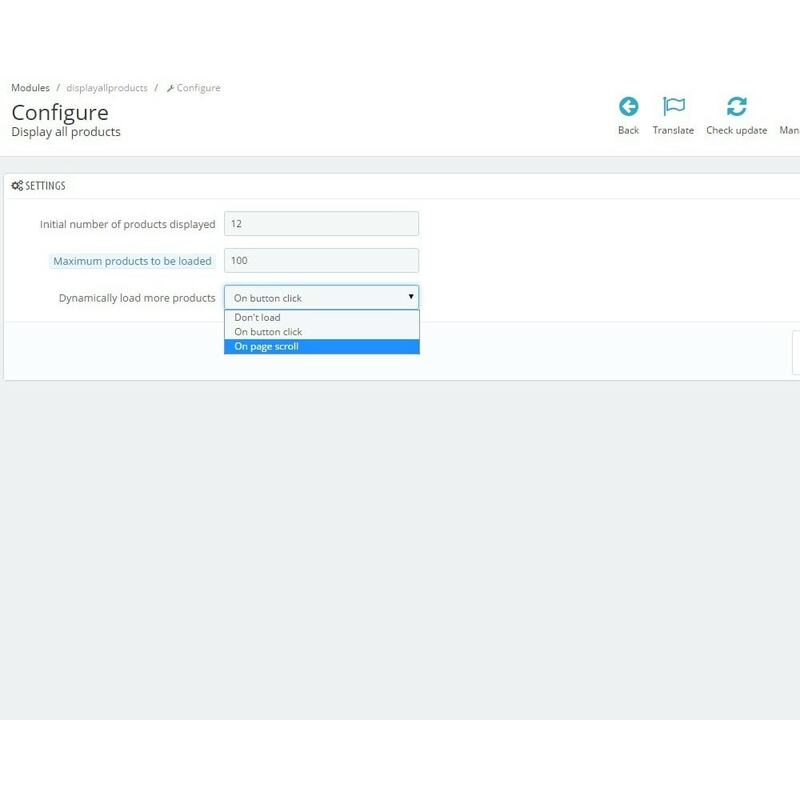 Allows your customers dynamically update product attributes directly in cart.